Well-polling ex-economy minister has said publicly he would refuse to participate in a primaries race against Sergio Massa and Salta Governor Juan Manuel Urtubey. Roberto Lavagna's "vanity" should not stop the Federal Argentina coalition from undertaking a primaries race to determine the strongest candidate to face President Macri in the October 2019 elections, dissident Peronist and presidential hopeful Sergio Massa said Tuesday. "Nobody can impose their vanity," Massa said, in a veiled criticism of Lavagna who has said publicly he would refuse to participate in a primaries race against Massa and Salta Governor Juan Manuel Urtubey, instead wanting a clear path to the bloc's ticket. "You shouldn't think that Lavagna and I are going to different things (if elected)", Massa clarified in an interview with Radio Con Vos in which he insisted the pair remain on good terms and part of the same coalition. "Juan Manuel [Urtubey] and I have been very clear about our intention to participate in primaries. 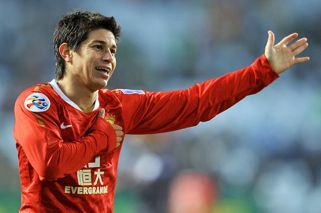 I think it will be between three or four candidates", Massa added. In surprising comments, the former Cabinet chief to Cristina Fernández de Kirchner suggested the fourth contender could be Martín Lousteau, an on-again off-again ally of President Macri. Massa and Lavagna met last week for a photo opportunity, seemingly to play down rumours about tensions within the bloc. Lavagna's interest in a presidential race has thrown a wet towel on younger Peronists' hopes of a clear path to the candidacy. The 76-year-old former Economy minister polls well against Macri though remains an unknown figure among many voters, recent polls suggest. Lavagna has spent much of the summer meeting with legislative and provincial leaders across the country. 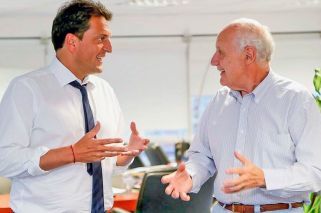 Sources told Perfil that Massa was keen during their meeting to learn more about the outcome of Lavagna's encounters with Santa Fe Governor Miguel Lifschitz and Senate minority leader Miguel Pichetto.